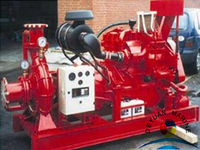 Main uses: fire fighting system, industrial water supply system, hot water circulation, etc. 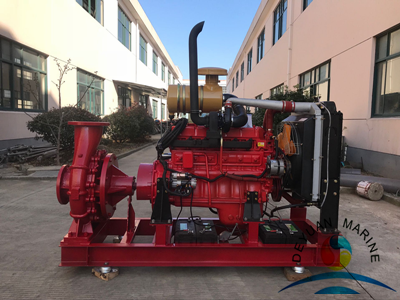 XBC-KDS diesel engine fire pump unit is the latest according to the national standard GB6245-2006 "fire pump performance requirements and test methods." 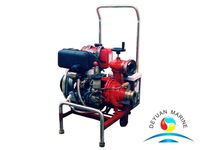 This series of products has a wide range of heads and flow rates and can fully satisfy the fire-fighting water supply of warehouses, docks, airports, petrochemicals, power plants, liquefied gas stations, and textile and other industrial and mining enterprises. 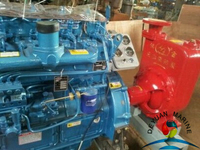 The advantage is that the electric fire pump set cannot start after the power system of the building suddenly loses power, and the diesel fire pump is automatically started and put into emergency water supply. 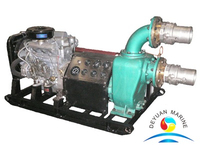 The XBC-KDS diesel engine fire pump is composed of a diesel engine and a fire pump. 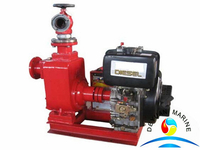 The pump group is a horizontal, double-suction, single-stage centrifugal fire pump. High efficiency, wide performance range, safe and stable operation, low noise, long life, easy installation and maintenance. For the delivery of clear water or other physical and chemical properties similar to water. 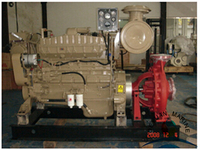 It can also be used to transfer hot water, oil, corrosive or abrasive-containing media by changing the material of the pump's flow-through components, the form of the seal, and the addition of a cooling system. For more details, welcome contact with our sales team.